The Grand Dame of modern Chinatown. A chronologically representative initiation into the ‘complex’ typology, the building, with its mixed functions, echoes the atmosphere of the streets, brimming with locals and foreigners engaged in a curious mix of activity. 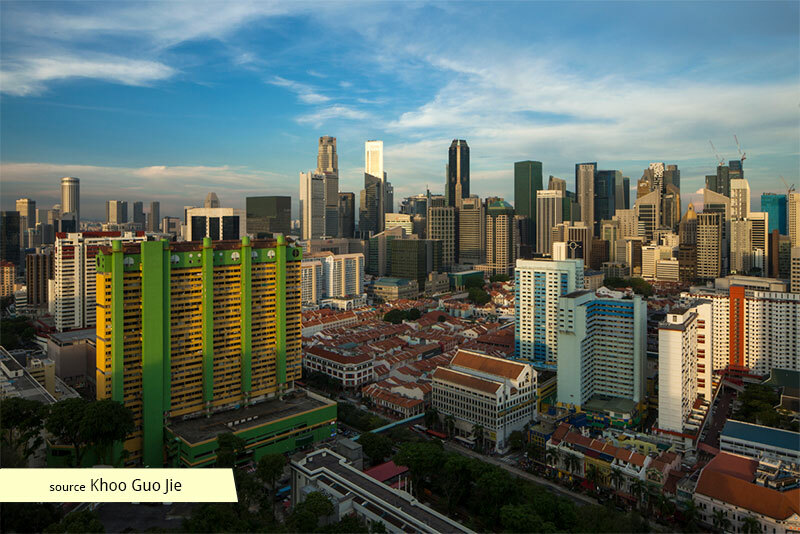 Situated in the heart of Chinatown, People’s Park Complex holds a mixture of shops, offices and residential units. 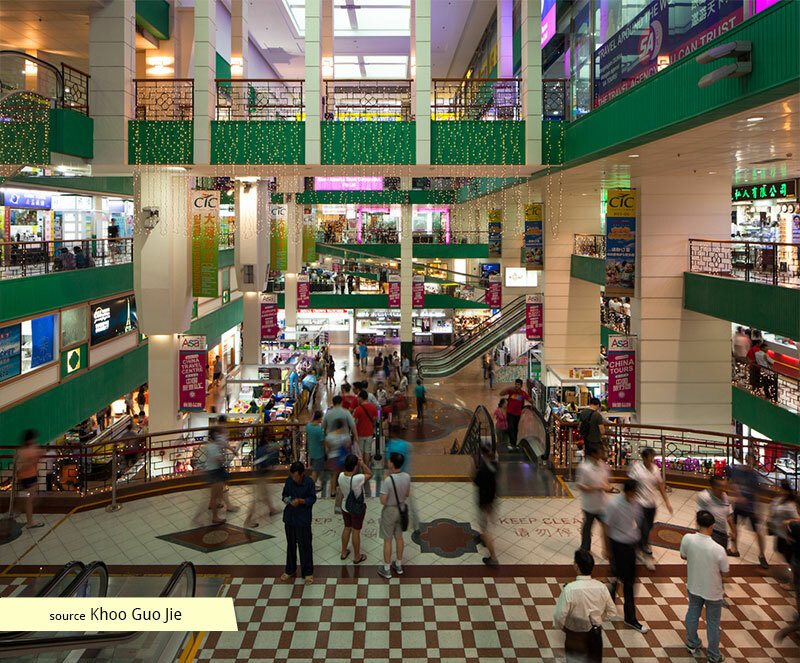 The largest retail complex along the Eu Tong Sen Street commercial belt, it was the first shopping mall of its kind in Southeast Asia, and would start a typological development trend in Singapore, the results of which are visible not only in Chinatown, but in other clusters such as Jalan Sultan and Bukit Timah's 7th Mile. 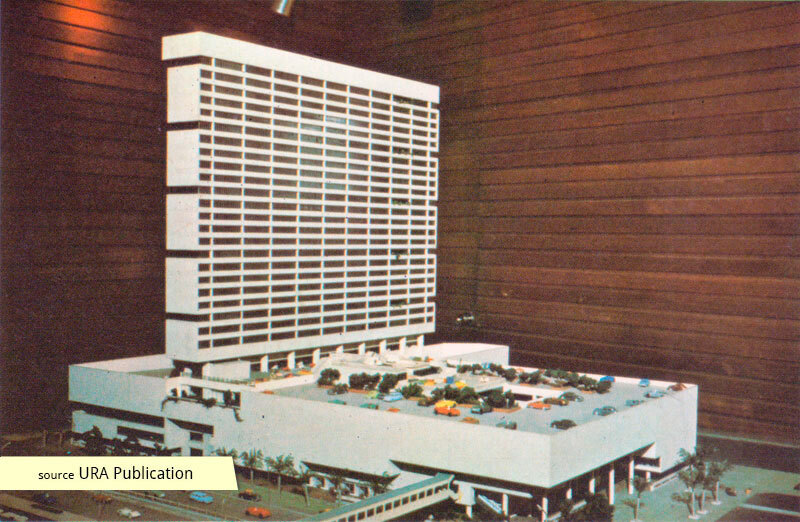 Beyond its architectural importance, People's Park Complex also represented the beginning of Design Partnership (now DP Architects). 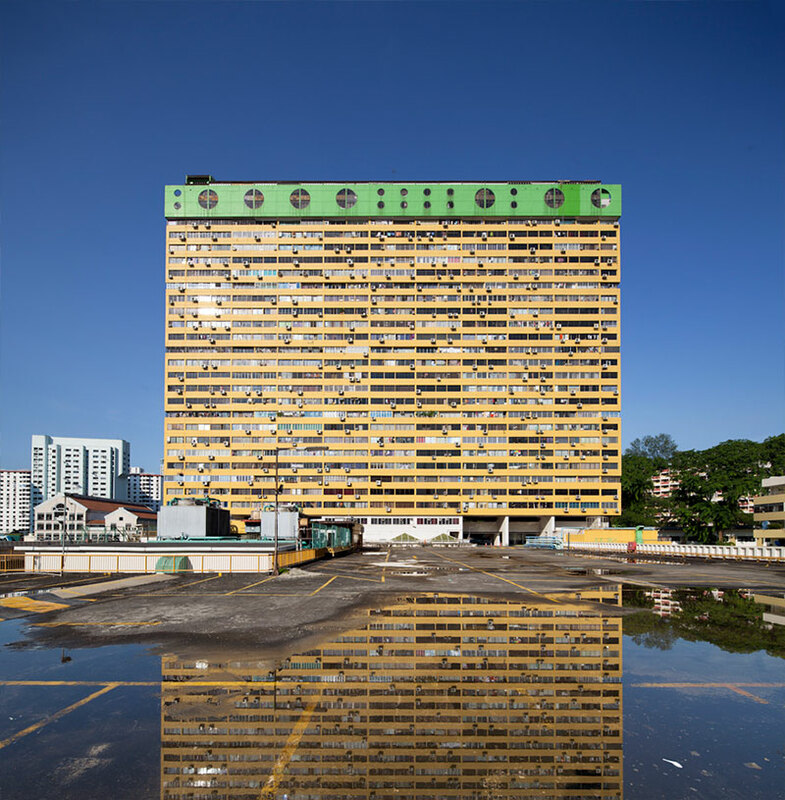 Following the dissolution of Malayan Architects Co-Partnership, the office consisting of William Lim, Tay Kheng Soon, and Koh Seow Chuan, was in its first year (1967) when it made a successful proposal for the new mixed-used development. 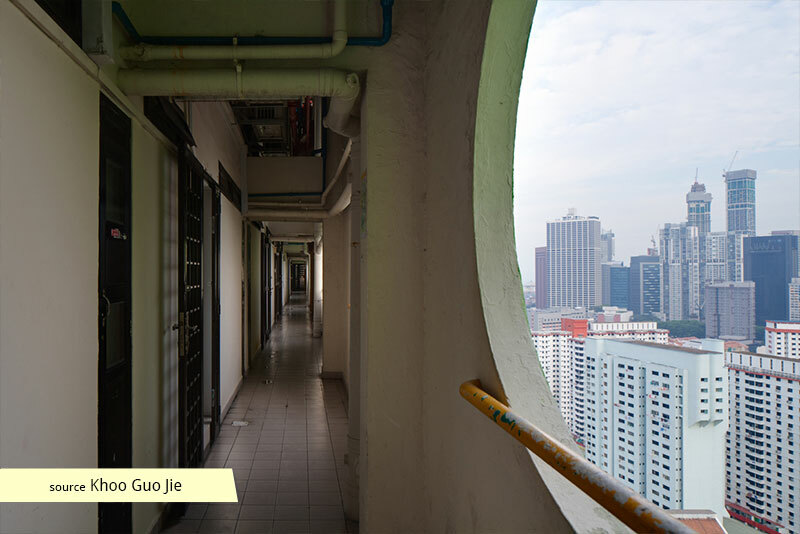 The integrated podium-tower block design stemmed from the architects’ ideas on urban renewal – a desire for all activities of the city to be ‘under one roof’, allowing inhabitants to live, work and play all in one place, not unlike the traditional way of life in old Chinatown. This was fitting, since People's Park Complex was built on the site of Pearl's Market (or People's Market), a popular bazaar that was razed by a fire in 1956. 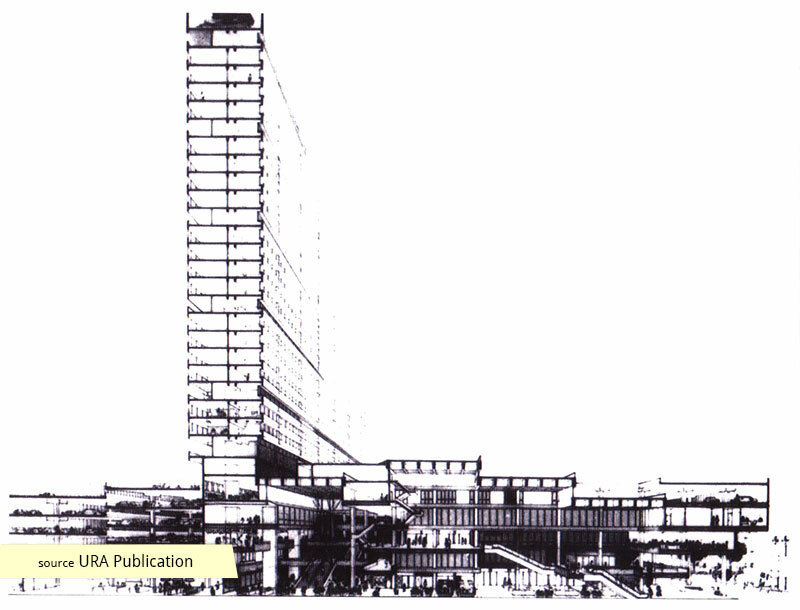 Completed in 1973, the new Complex would go on to rehouse many of shops that were affected by the 1956 blaze. Holding a selection of shops and offices, the podium block was a pioneering attempt at encapsulating the bustling lifestyle of the informal streets into a planned retail space. 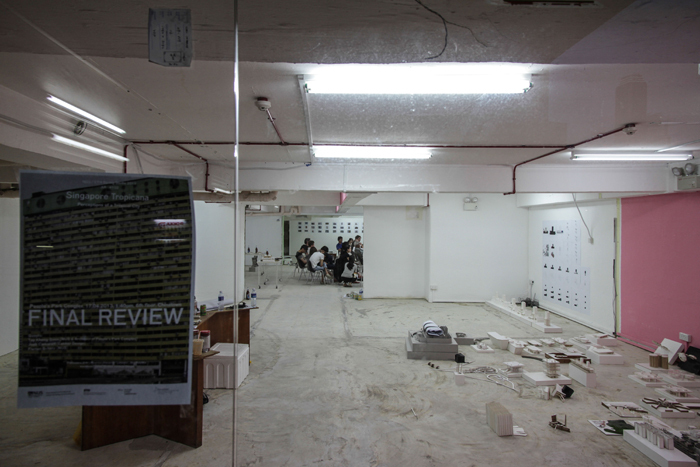 The architects were eager to retain the lost shophouse spirit of Pearl's Market, envisaging the entire Complex as a “Shophouse City”. Arranged around two interlocking atria, the podium block accomplished the laudable feat of maintaining a clear organisation for intuitive navigation, while imbuing the experienced space with an exhilarating sense of animation and depth. As one weaved through the layers of spaces, shops and objects in a variety of combinations and sizes truly invoked the vibrancy of the old bazaar. Above the hustle and bustle of the commercial podium, a simple slab block housed the residential units, providing inhabitants with light, air, and views of the city. 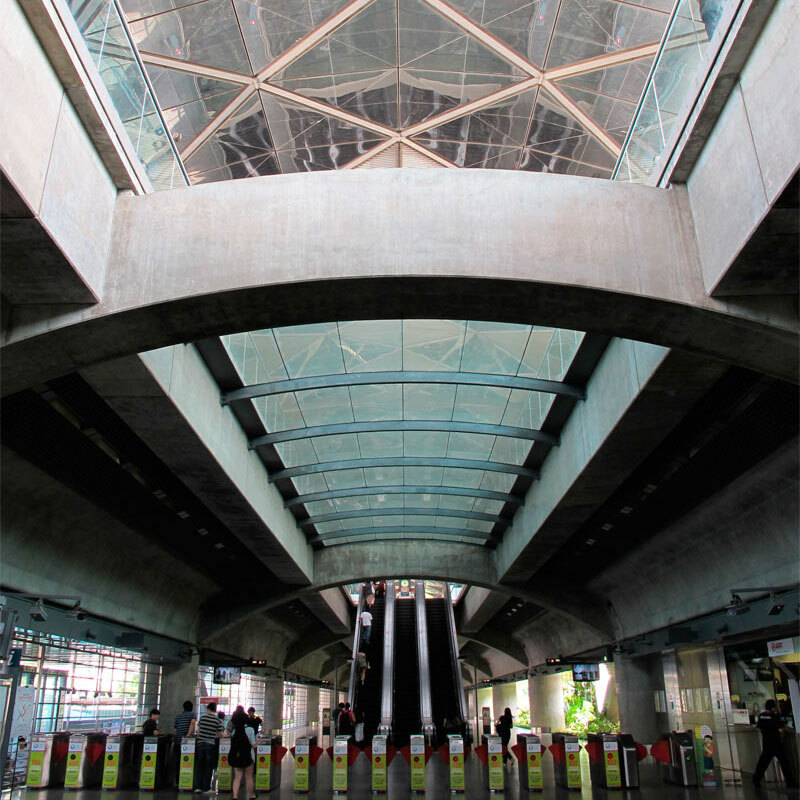 A space on the roof was also designated for communal purposes, an early example of how parks and activities could be lifted into our Singapore sky. Unseen to most, is a luxurious penthouse (and rumoured home of the building's developer) located on the top two floors of the 103m building, replete with its own swimming pool, sauna, and gym. 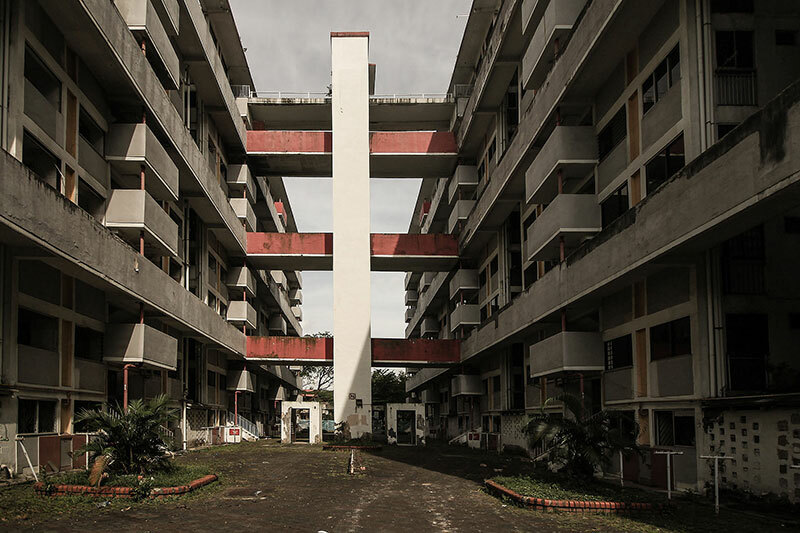 Though it has survived several colourful rebirths, People's Park Complex originally took cues from the Brutalist architectural style popular at that time, and was finished in raw concrete. In the circular windows, distinctive profile, and hyper-articulated tower syncopation, one may also see an 'apprehensibility and coherence of the building as a visual entity' which contributes towards an 'image' - some defining qualities of Reyner Banham's idea of Brutalism. Apart from that, the 'city room' concepts embedded in the podium block also owed much to the ideas of the Metabolism movement in Japan, and when Metabolist group member Fumihiko Maki visited the site during construction, he famously exclaimed "We theorised and you people are getting it built!" 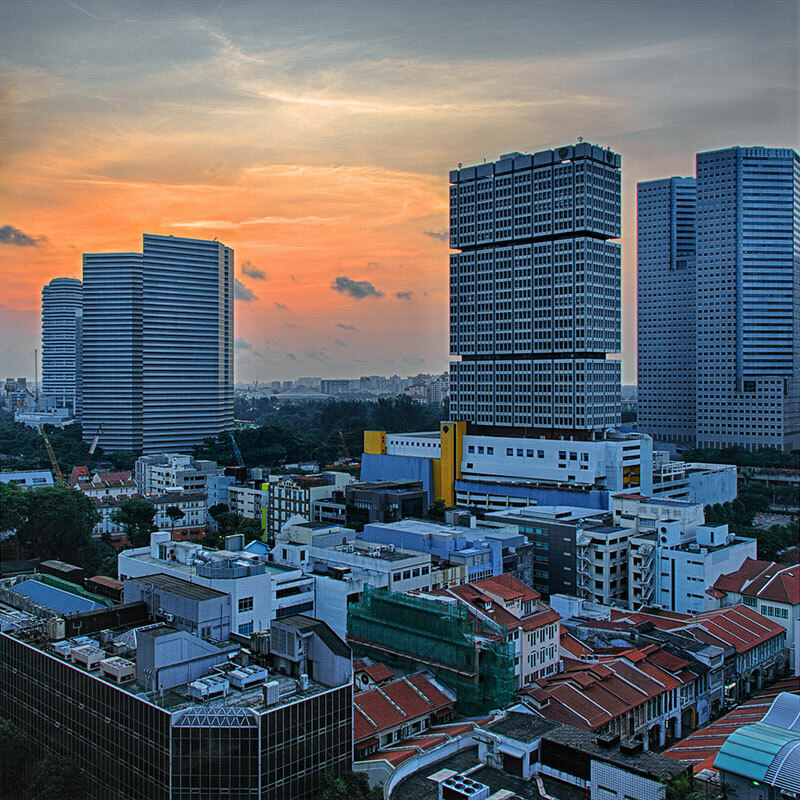 Today, Peoples Park Complex remains a commanding vision in the city centre, part of a vibrant interface between Chinatown MRT Station, OG Building and People’s Park Complex Food Centre, forming a greater hub for the local community.